I’m so excited for the Fall collections that are slowly making an appearance, how about you? 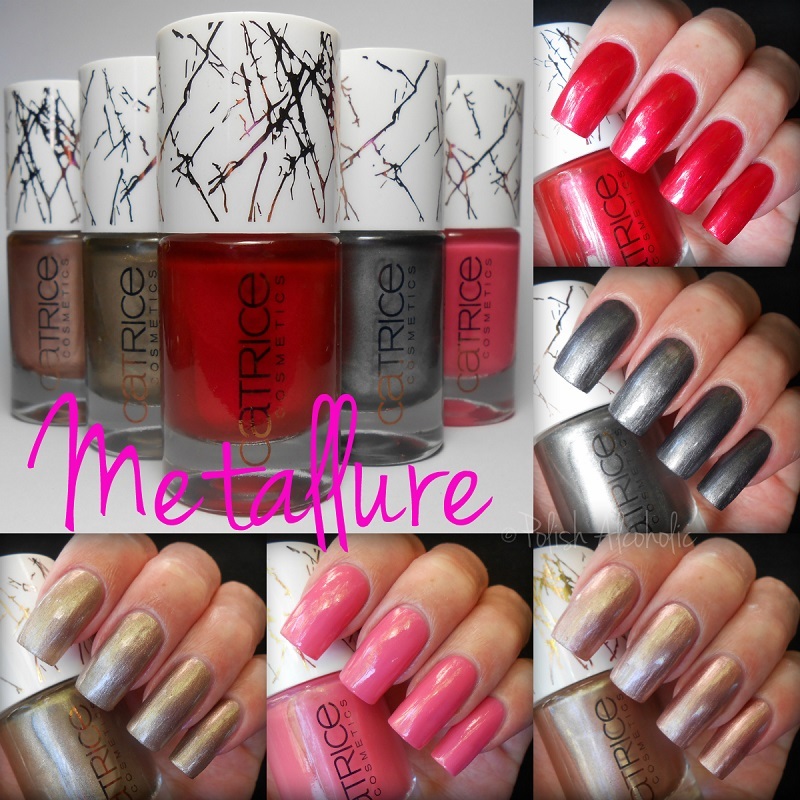 Today I have swatches of the Metallure Collection by Catrice to share with you. Considering the name of this collection I thought all five would be metallic shades. But to my surprise not all of them. And I have to say I’m happy with that. I like a good metallic polish every now and then, don’t get me wrong. But an entire collection would be a bit too much for me. First up, Alluring Pink. Me loves me some pink polish! Yay! This is a not so special pink hue with a lovely shimmer. 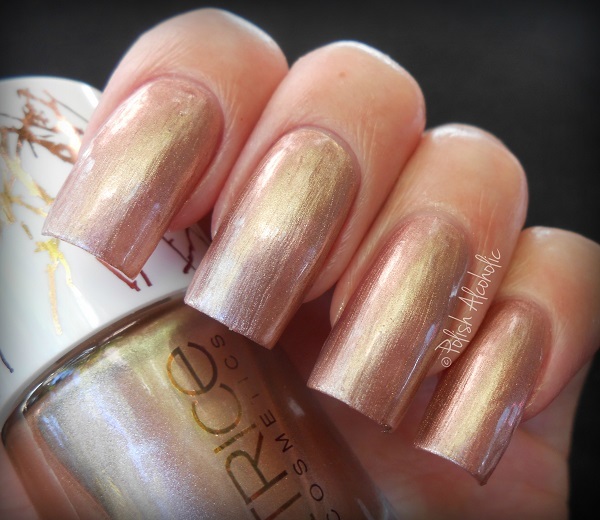 The shimmer makes me actually love this polish. The formula is good. I used three thin coats but top coat, although it’d be opaque in just two more generous coats. 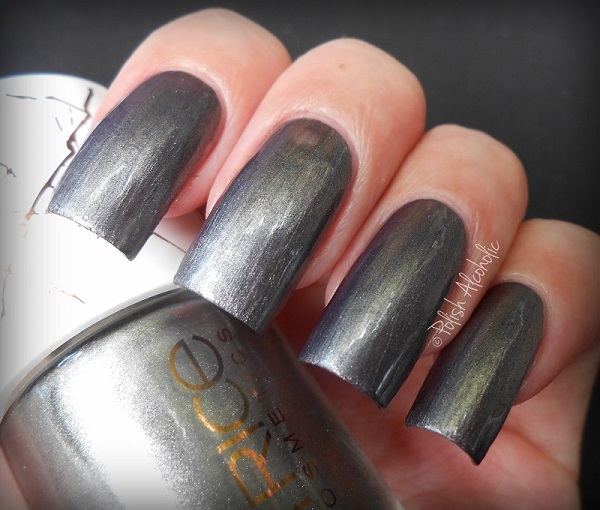 A gunmetal polish? Yes please! This is two coats of Metalfusion plus top coat. This one is more pigmented than the previous two and I think it could be opaque in one generous coat if you have short(er) nails. But on a side note… these dry pretty fast which is great of course but you will get bald spots if you go over the same spot multiple times… like I did on the nail of my middle finger… *ahum*. And that’s it! 😀 Any favorites? 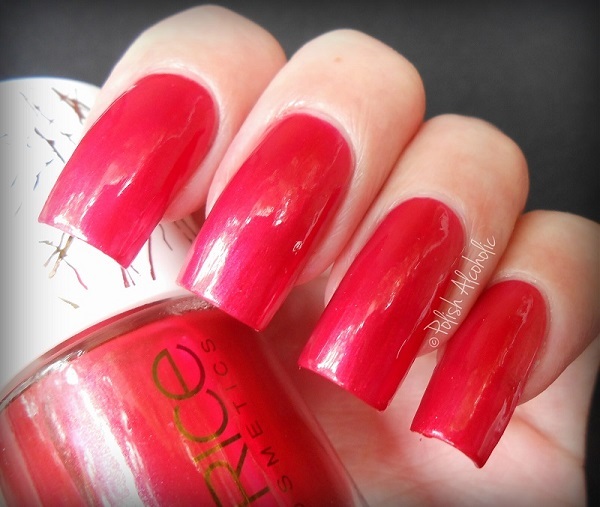 This entry was posted in Catrice and tagged alluring pink, alluring red, catrice, catrice metallure, metalfusion, metalight, metallicious, metallure, metallure collection, review, swatches by Polish Alcoholic. Bookmark the permalink. I need three of these. They are going on my list!